“We will demonstrate how Sabic is well on the way to transforming itself into a solutions provider to its destination markets and delivering value to its customers via technology. All of this means innovation, which is commercialised invention,” said Prince Saud bin Abdullah bin Thenayan Al Saud, its chairman. Sabic expects to utilise around 10 million tonnes of crude oil at the complex to produce petrochemicals, and eventually advanced specialty chemicals in line with its 2025 strategy. The oil-to-chemicals plant is expected to start up by the end of the decade and will provide an aggregated total of around 100,000 new jobs, according to current company projections. The project has been announced at a time when the company is focusing strongly on research and innovation to produce new materials to face global market challenges. 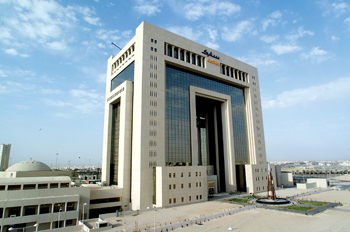 Sabic recently filed for its 10,000th patent, a landmark number that establishes the company as the largest patent developer in the Middle East. On average, the company files a new patent every 18 hours, each based on the work of approximately four researchers. This represents greater efficiency than any other top 10 companies in the chemical industry, said Ernesto Occhiello, Sabic executive vice president, technology and innovation. Sabic continues to link up with international partners for new ventures that will make it a prime player on the world scene. In the latest move, it announced a partnership with Lockheed Martin to explore the establishment of a new joint venture company in Saudi Arabia to develop carbon nanostructure materials for a variety of end markets and applications. A newly signed MoU enables the two firms to coordinate on the development, industrial validation, testing, scale-up, production and sale of carbon nanostructure materials and carbon nanostructure infused products. The memorandum is part of an initiative to develop new speciality-based business opportunities for Sabic and develop higher value-added businesses in Saudi Arabia, said Occhiello. “An innovative partner like Lockheed Martin is indeed valuable to us, and we hope the initiative will be the beginning of a longer term relationship with the company,” he said. Last year Sabic opened its first engineering thermoplastics facility and a new polypropylene compounding (PPc) plant in Jubail. Production also began at the Saudi Organometallic Chemicals Company (SOCC), a joint venture equally owned by Albemarle Netherlands BV and Saudi Specialty Chemical Company, an affiliate of Sabic. It has a capacity of 6,000 tonnes annually of tri-ethyl aluminium (tea), a Ziegler Natta co-catalyst use in the plastics industry. Projects that Sabic is currently implementing include a joint venture with ExxonMobil to construct a world-scale speciality elastomers facility at the Al Jubail Petrochemical Company (Kemya). It will be integrated with the existing Al Jubail complex. Sabic affiliate, Saudi Kayan, has teamed up with Sadara and the Saudi Acrylic Acid Company to build a butanol plant which will produce 330,000 tonnes annually of n-butanol and 11,000 tonnes of iso-butanol. The Saudi Japanese Acrylonitrile Company (Shrouq), a joint venture between Sabic (50 per cent), Asahi Kasei Chemicals Corporation (30 per cent) and Mitsubishi Corporation (20 per cent), is building a plant with annual capacity of 1.4 million tonnes of acrylonitrile. At Petrokemya, an acrylonitrile butadiene styrene plant of 140,000 tonnes is being set up. Sabic and Shell have announced they will go ahead with plans for expanding various projects at the Saudi Petrochemical Company (Sadaf). They will involve a full range of polyols and styrene monomer propylene oxide (SMPO) plants.